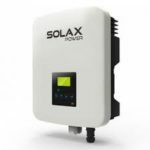 HomeHow does my Solar Power System workWhat does the inverter do that comes with my new solar power system? What exactly does the Inverter do? Whilst the panels on the roof seem to get all the action from the sun and create the electricity, it is at this stage unusable as it needs to be converted. The panels create direct current (DC) output of a photovoltaic (PV) solar panel. The inverter converts this into 240V (AC) the type your house uses. This now converted electricity can be used in your home. or if you have opted to have a battery installed and a hybrid inverter (which is just a different type of inverter to be able to send the power a couple of different ways) it will first go into the battery and then once they are full the rest then goes back into the grid.